Workout has been a priority for me since the past two months thanks to my increasing weight and the endless determination to get back in shape! I have set out a nice routine for myself and have been taking extra care about my fitness especially when it comes to what I eat as I believe that's where the journey of being fit starts and ends. Along with healthy food which doesn't compromise on my taste buds, I am also taking some Health supplements to give myself that extra boost. Fitness is not something which you can achieve in a day, infact, it's something which you have to work on everyday to achieve. My workout routine ranges from stretches, squats, Cardio to weights and also a refreshing 20 minute walk in the park so you can imagine how much dedicated I am. 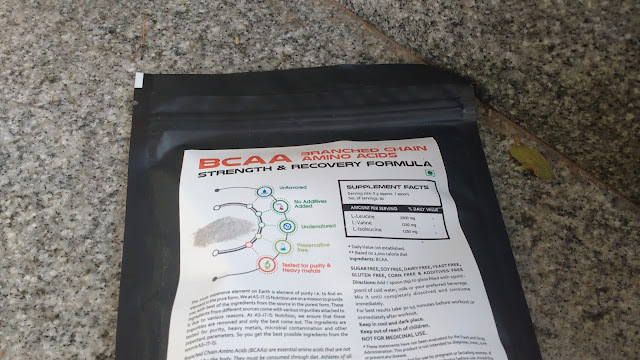 Workouts can be tiring at times especially during these hot Summer days and taking a BCAA supplement to Boost my routine is what I prefer to do. When I was approached by AS-IT-IS Nutrition to review their 100% Pure BCAA Powder supplement, it was just the thing I needed and I am glad to be sharing my review for it today. 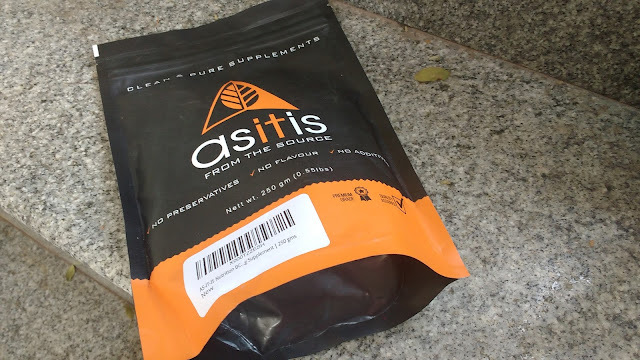 AS-IT-IS Nutrition is a Health Supplement brand which swears by purity and believes in providing its customers products which are free from any kind of contamination and are simply AS-IT-IS. The thing I love the most about this brand is that every product sold by them is free of any additives, preservatives or flavour and all this comes with an affordable price tag! BCAA stands for Branched Chain Amino Acids and is a very popular term when it comes to fitness and workout. Taking BCAA supplements helps boosts muscle growth and metabolism.BCAA works as your perfect workout buddy as it immediately boosts your strength and helps inhibit muscle breakdown and improves energy production. It also helps reduce muscle soreness during intense muscle damaging exercise. It promotes lean mass and leads to quicker post-workout recovery. 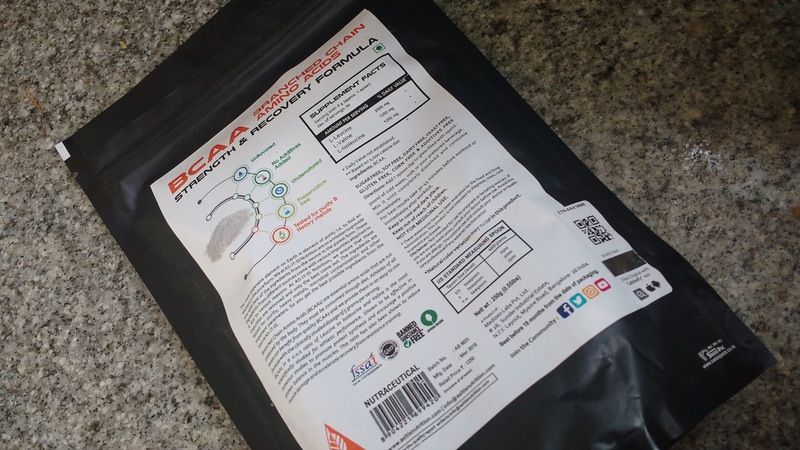 The BCAA Powder by AS-IT-IS Nutrition is 100% pure and is lab tested for quality and purity It is free of any additives, preservatives or flavour. Which means that it's in its purest form, just the way I like it! 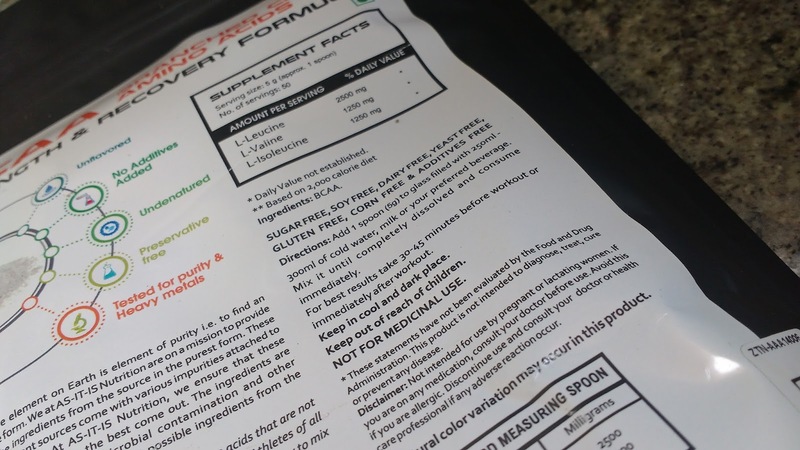 This is the reason why I recommend you the AS-IT-IS Nutrition BCAA 100% Pure powder. 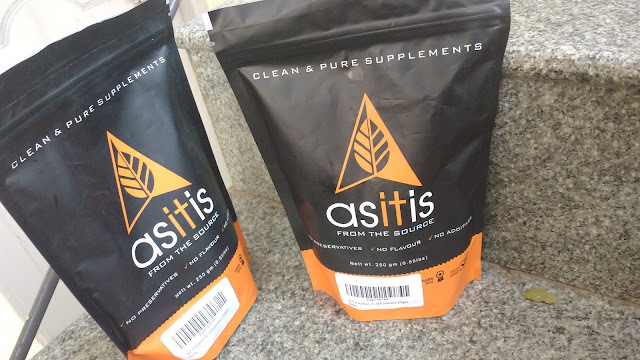 The AS-IT-IS Nutrition BCAA 100% Pure Powder comes in a black and orange colour combination bag which is quite sturdy with a resealable seal at the top. The seal holds the products well and is also travel friendly. Each bag comes with a scoop which you can use to measure your daily dose. The packaging makes it very easy to use which is what I love about it. BCAAs are safe to be taken as there are no adverse side affects reported for them to date. They are non-toxic but not exceeding the recommended daily dosage of '3-5gms for Women and 15-20gms for Men' is advisable. BCAAs are also safe for pregnant women. 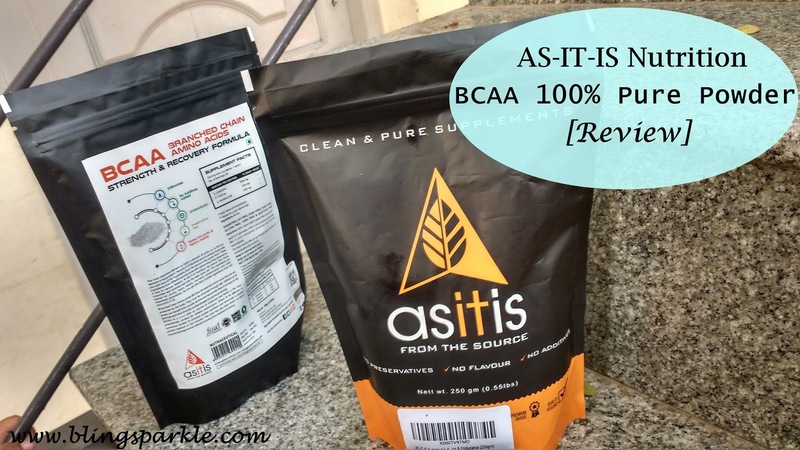 I am personally loving the AS-IT-IS Nutrition BCAA 100% Pure Powder and have included it in my daily workout routine. I prefer drinking one scoop of it mixed with one glass of milk prior to my workout and I feel it gives me an instant boost of energy every time I drink it. It is value for money and hence I recommend it to everyone, especially to those people who are on a diet as BCAA supplements can help you maintain muscle mass and build muscle while you are dropping fat!